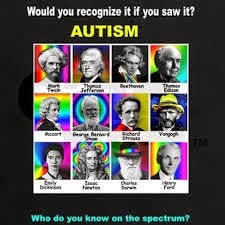 It's in vogue now to retroactively diagnose historical figures with autism. I just saw another article retroactively diagnosing historical greats with autism. Thomas Jefferson had autism…so did Einstein and Michelangelo…Leonardo DaVinci, and almost any other iconic figure. Autism is great, dontcha know? I hate to be the one to break it to the author, but most children with autism are not geniuses and all geniuses do/did not have autism. It might be a feel-good message, but being intelligent and eccentric do not an autistic person make. I have been asked on several occasions what Ryan’s “thing” is…music, art, math? 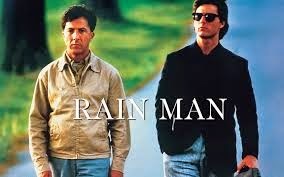 Ryan is not Rainman, and neither are most individuals with autism. Television shows profiling autistic savants give people the wrong impression that this is the norm. I linked to another article extolling the virtues of autism, complete with pictures of children with autism smiling with all their “typical attributes” listed. How about Graham? He says “Good morning” and asks his mom if he can sit on her lap and cuddle. That’s wonderful, really, but this is not the autism I deal with, or so many of us live with every day. I would love for Ryan to ask to sit on my lap. I would love for Ryan to ask me anything at all, actually. I suppose in deference to those of us who experience autism in its more severe form, we are given a photo of a child who cannot speak. “This is Aiden”, the entry reads. “He is non-verbal but can tell you everything with his sparkling blue eyes.” Really? Can he tell you if someone hurt him or is bullying him? Can he tell you how he got those bruises? Can Aiden tell you why he is screaming and thrashing uncontrollably? Or is it more likely you’re left to wonder why your child is slamming his head back with enough force to crack his skull? I live it, but I don't love it! I am so tired of the romanticizing of autism. I am tired of actresses from long-ago B-movies declaring themselves autistic. I am tired of parents saying God gave their child autism to test their faith. Could anything be more narcissistic? It is not neurodiversity any more than cancer is cellular diversity. It is not evolution. Evolved beings can communicate and use the toilet. I love Ryan with every fiber of my being…a fierce and protective love that if someone were to hurt him would render me capable of things I don’t like to contemplate. 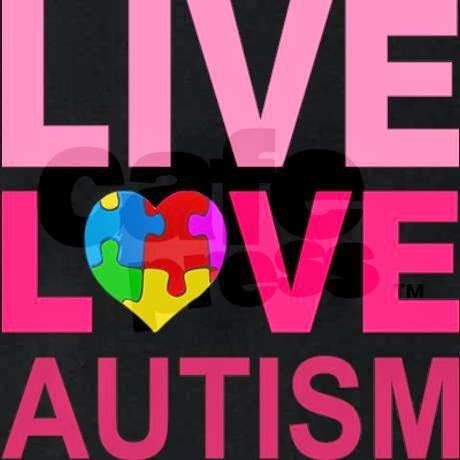 But I don’t love autism.